Imagine pouring a glass of water onto an impervious slope, say for example a concrete paving slab. The result is obvious. All the water runs downhill at high speed, and whatever’s at the bottom gets a good soaking. This is what happens when heavy rainfall lands on our hillsides. Now imagine a layer of fabric is laid over the slope and repeat the experiment. Sure, most of the water will eventually make it to the bottom of the slope, but the fabric will absorb a lot of the water and slow its progress downhill. If the slope happens to be the valley sides and the bottom of the slope happens to be a river flowing through your town, you can see immediately the benefit of slowing down the flow like this. It now takes a lot longer for the water to reach the river and the danger and severity of flooding is greatly reduced. One of the main activities Treesponsibility undertakes is the planting of trees on our vulnerable valley sides, thus reducing the impact of flooding during these periods of ever increasing frequency and intensity of rainfall. For a start, the trees actually capture quite a lot of water on their leaves and branches. This slows the rate at which water reaches the ground, and in fact much of it actually evaporates without even reaching the ground at all. Then, there are the roots. These make their way down into the ground, allowing some of the water to percolate down away from the surface and further preventing excess run off. And of course, the trees themselves take up quite a lot of it, most of which is also returned to the atmosphere by transpiration through the leaves. It’s not only trees that perform this vital service though. All plants do this to a greater or lesser extent. A really important example of this is sphagnum moss, which is the principal constituent of peat bogs. These mosses have the particular characteristic of not decaying rapidly when they die, but instead forming deep deposits of peat, upon which the future generations of moss continue to grow. 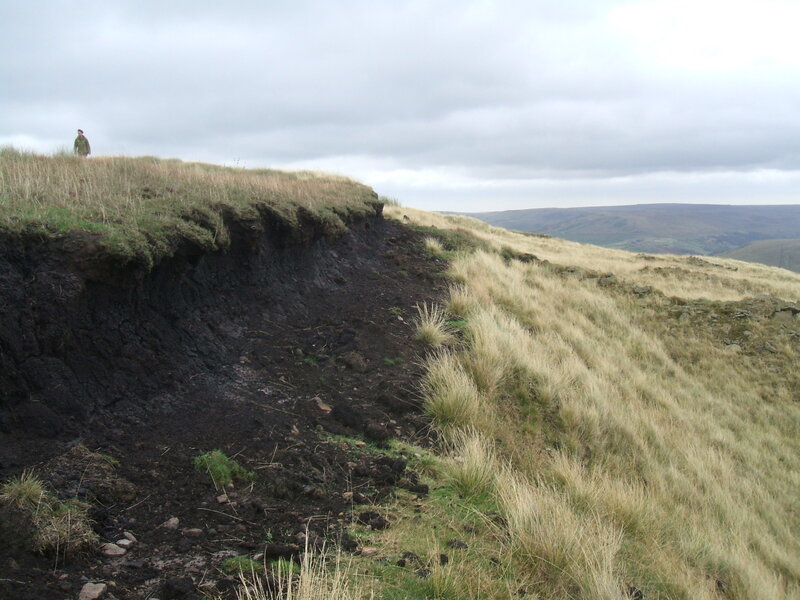 They also have the ability to store huge quantities of water, both in their living and dead tissue, so a blanket bog on the moorland above the valley provides enormous capacity for slowing down run off. In recent years a great deal of research has been carried out on the way this takes place, and on the value of peat bogs generally. CLICK HERE to read about how South West Water and its partners are restoring the peat bogs of Exmoor, and see just what a difference this amazing but undervalued resource can make.